Tackling mental health problems of the working-age population is a key issue for labour market and social policies in OECD countries, not just for health systems. Governments increasingly recognise that policy has a major role to play in keeping people with mental health conditions in employment or bringing those outside of the labour market into it, and in preventing mental illness. This report on New Zealand is the tenth in a series of reports looking at how broader education, health, welfare and labour market policy challenges are being tackled in a number of countries. 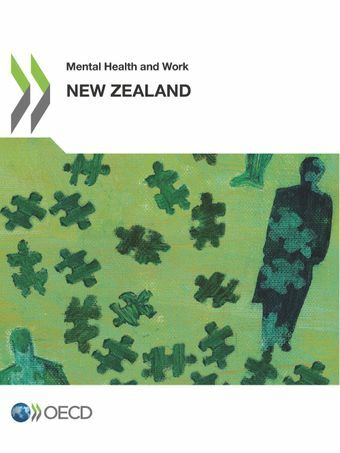 The report is also the first one published after the endorsement of the OECD Recommendation of the Council on "Integrated Mental Health, Skills and Work Policy" and assesses New Zealand's performance against the strategic policy framework agreed by all OECD countries. The report concludes that awareness and policy thinking is well developed in New Zealand but that structural and institutional weaknesses limit the provision of timely, integrated health and employment services, with particularly disappointing outcomes for the indigenous population. Against the background of the OECD Council Recommendation, the report proposes improvements in policy development and policy implementation to make youth, workplace, health and welfare policies ready for the challenge.